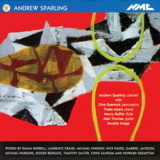 Music from the Heart of a Dog is on the clarinettist Andrew Sparling’s eponymous 2004 CD from NMC Records (NMC D092). 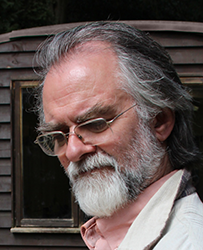 [Note: that link is correct, but for some reason you sometimes get redirected to NMC’s home page. Just enter ‘Sparling’ in their search box at the top of the page and the album is first in the list of results.] It can also be downloaded from the iTunes store and found on Spotify. 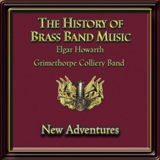 My Trumpet Concerto is featured on The History of Brass Band Music, Vol.6: New Adventures (DOY CD165) by the Grimethorpe Colliery Band, soloist Richard Marshall, conductor Elgar Howarth, recorded in 2005. Sadly, however, this appears to be no longer available from any of the previous sources, nor can I find it on iTunes or Spotify. Five Pieces for Brass Quintet (although they seem to call it just Five Pieces for Brass ). This is an arrangement of Five Pieces for Saxophone Quartet . lovesongs was at one time published by a small company called Micropress Spiral, but they appear to have vanished.